It is with deep sadness that we announce the loss of a husband to Jaqueline (Gauvin) and father to Andre (Suzanne) from Saint John, NB, Valerie (Roger) Lucas from Ste-Adele, Quebec, Daniel (Debi) from Saint John, NB, and Nino (Goretti) from Johannesburg, South Africa. To each of these along with his 8 grandchildren and 5 great grandchildren, he will be greatly missed. He was a quiet, unassuming man, who accomplished his duties without fanfare, and was a natural aviator. As a Flight Lt. in 1943, then a navigator returning to base in a Lancaster Bomber over the North Sea at 20 000 feet, after a raid, he happened to discover an unusually strong wind never before experienced, but he believed in his calculations. The skipper also believed in him and steered accordingly. It was called then the night of the big wind, which is now known as the Jet Stream. Their aircraft was thus the only one that returned to base that night at East Kirby, Lincolnshire, England. The rest of the stream drifted toward the Rhine where many were shot down while others ran out of fuel and crashed into the English Channel. A night of great loss of lives and of aircraft. In civilian life, he became a Senior Captain for British Airways and showed the flag on all five continents with 29 000 hours spent in the air above the earth. He retired in his corner of Nova Scotia, very happy in idyllic peace and beauty surrounded by trees and water – his hundreds of books and classical music. To the family he was and will remain a fine example. Jaqueline, Vi and I extend our deepest sympathy to you and your family at this time of your loss. I found Hugh to have lead a very interesting life, and always enjoyed seeing him. He made a great contribution to this world and will be missed. Jackie and family. We are sorry to hear of Huberts passing and express our condolences. Dear Jacquie and family, I was shocked and very saddened to learn of Hugh’s passing. I will always remember your many visits to our store, and as you and I had our chat, Hugh would quietly stand waiting for you. He was such a gentleman, and I always enjoyed the many stories of your travels together, especially the Sahara Desert story…one of my favorites. You and Hugh had a wonderful life together embracing adventure and excitement – travelling the world. I know you have a wonderful family (I almost feel like I know them from your stories and photos) and Hugh has left all of you with so many happy memories. My thoughts are with you at this sad time. So sorry to hear of the loss of Hugh. Please accept our deepest condolences. Hugh was a great man. Let us know if there is anything we can do for you. Louise and I send our deepest condolences to you and your family in this time of loss. Hugh certainly led an interesting and fulfilling life and that legacy will always be there. So sorry to hear of Hugh’s passing. Our thoughts and prayers are with you at this difficult time. We send our deepest condolences. We will miss the special times that were spent with you and Hugh. Please let us know if there is anything you need during this time. May heartfelt thoughts bring you comfort and loving memories bring you peace – with Deepest Sympathy. George and I were saddened to learn of Hugh’s death. We always enjoyed seeing Hugh and listening to his stories. Woodpile won’t be the same without him. We send you all our deepest sympathies. Our thoughts and prayers are with you both and your family at this sad time. Please feel free to reach out if there is anything you need. Our thoughts and prayers are with you both and your family in these these difficult times. We are sorry to hear of Hugh’s passing. Our deepest sorrow and thoughts are with you all at this time. We will be thinking of you and your family. You and Hugh were such great comfort for each other. So sorry to hear about Hu’s passing. He was such a fine gentleman and we both admired him very much. Our deepest condolences to you and your family. We were deeply sadden to hear about Hugh’s passing. Please know that our thoughts and prayers are with you and your families at this difficult time. accomplished. His family must be extremely proud of his lifetime achievments. Sorry to hear of Hughs passing. Our thoughts and prayers are with you and your family. Jacquie … I am so sorry for your loss and hope the good memories go a little way toward ameliorating the hole that Hugh’s death punches in you life. I made a flying trip to Vogler’s Cove, Sheep Island, and environs this late July/early August. Inquired about you and Hugh. Gordon thought Hugh was ill and then: Hugh’s obit in the Chronicle-Herald the 4th of August, the day before we left. My daughters and I had reminisced about your flying trip to Miami and lunch with you and Dorothy. And Hugh’s sailboat in the harbor at Port. I am so very sorry to hear of your loss. I have very fond memories of spending time at your house in Port and visiting with you and enjoying your kind hospitality.My thoughts and prayers are with you Miss Jacquie and all of your children .Nino and I were friends so please let him know of my prayers for him as well. Its a long time since Reading, but Roger and I are probably coming to Nova Scotia in August, and we searched for you on the internet. 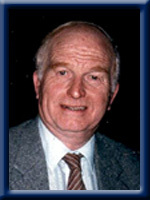 We are very sorry to have found Hughie’s obituary as the first method of making contact. Its very sad. But if you are around in early August we would like to pop in and see you again if we can work it into our travel plans. Let me know if it is possible, and let me know your current address.